A relaxing Easter on the beautiful Gower peninsula has reminded me how lucky I am to have spent my childhood never further than a mile from the ocean. Come winter or summer, Rhossili remains my favourite beach in the world. A big call I know, but it’s won ‘Best UK beach’ for the last two years running, and now is the time to explore – before the crowds descend. Rhossili has something for everyone; Are you an active beach goer? Then treat yourself to a surfing lesson; don’t much fancy the water? Then take a historical hike over Rhossili downs for incredible views; all about the food? Try one of the many local pubs serving the fresh daily catch; just want to do nothing? Then do! Sprawl out on the wide sands and take in some of Britain’s most postcard-perfect scenery. 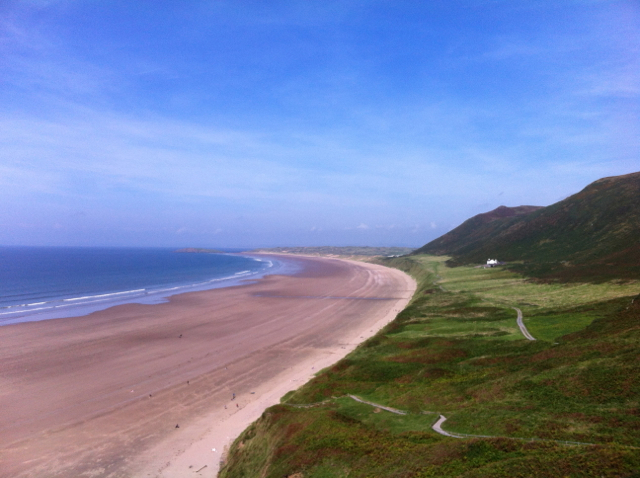 Rhossili Bay, Gower, Wales: Something for everyone – just pray for the sun! At the risk of using a well-worn traveller’s cliché, this one really is a hidden gem! 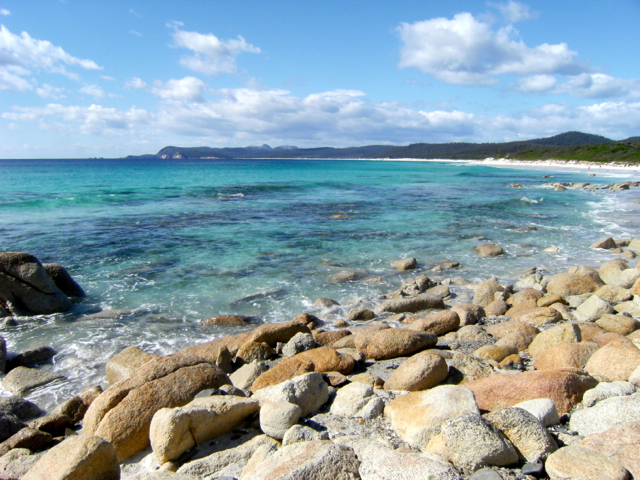 For the adventurous who are looking for a cheap and remote exploration, drive your campervan into one of a few niches in the brush-strewn hillside at Friendly Fires, to shelter from the cool Tassie breeze, and take it all in! Camping facilities are basic, but quickly forgotten after your first glimpse of the view from your breakfast spot. A sheltered, crystal clear bay laps a white boulder-ridden shore, the sky and the ocean battling it out for the bright blue title. Top tip: Be sure to stop at one of the many wineries on route to stock up on some of Tassie’s finest produce. Oh, and don’t forget the toilet roll! I’ll happily admit bias here. This beach gave me my first glimpse of the Pacific. Rose tinted glasses aside, this is a backpackers paradise – a chilled haven where you set up your tent on the sand itself, cook on an open fire and swim with otherworldly, luminous phosphorescence once darkness falls. I’m a sucker for a beach where the sun plummets over the water, and Punta Sal doesn’t do this by halves. 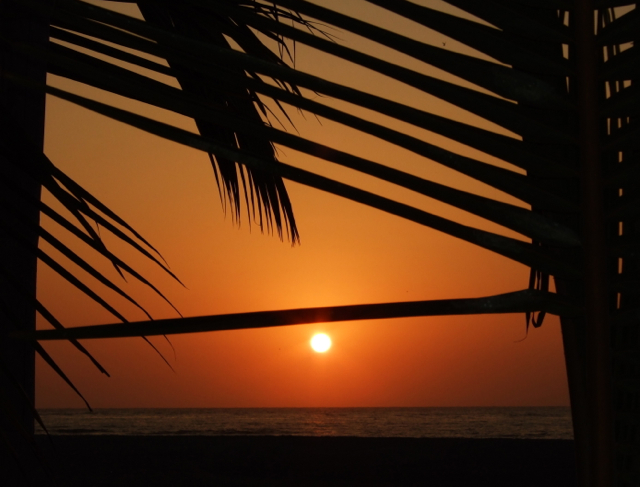 As you take in the last moment of dusk over a large cold bottled beer (sold at the tiny palm- thatched beach bar) the sky takes on a violet hue that would make the rest of the tropics jealous. The best thing about this beach however, is its wildlife. Rise early and you will catch thousands of bright orange crabs scuttling into the ocean before harsh daylight properly unveils their parade, stay up late and the fun really starts as the sea itself takes on a life of its own! Most visitors to Thailand’s tropical beaches spend weeks on end partying and lounging on the white sands. Well, why wouldn’t you? The beer is cheap and the palm-laced scenery near perfection. For me however, this place is all about what’s under the water. 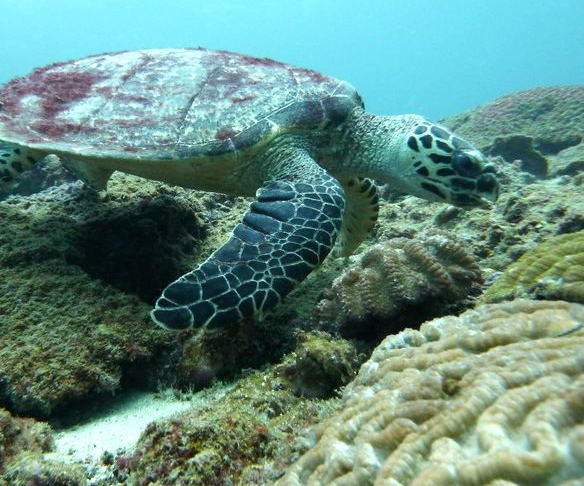 Take a PADI course with any of the qualified outfits in Ao Nang and spend three days cavorting with sea turtles, moray eels and kaleidoscope coloured Nudibranchs. It’s an experience that will open up a whole new world of exploration for future travels, and the best bit? After all that exercise the beers will taste even better! Just some of the company you can keep under the sea off the shores of Ao Nang! 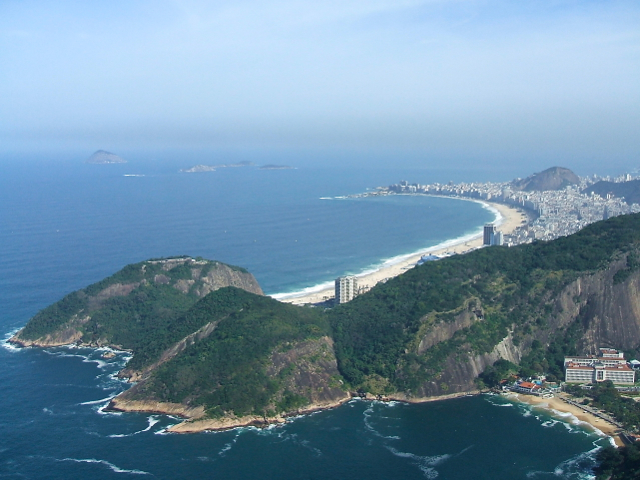 No other slice of coastline is quite like Copacabana, which is probably why it’s had so many songs written about it! With pale, soft sands and wild, white crashing waves, it’s easy to forget that there are skyscrapers less than 50 meters behind you. Is it a coastal wilderness, a cosmopolitan city, or a mountain range? Well, it’s all those things and more. Play volleyball in tight red speedos, attempt to surf if you’re game to embrace the walls of ferocious water offshore, or simply don your Havaianas and people watch on the bustling promenade. If you somehow manage to become bored of all the above then Sugarloaf Mountain and Christ the Redeemer (the statue version, of course) are only a short taxi ride away. The Liebster Award: A Second Nomination! Thanks! I know, it was only once I started going to the tropics that I saw the marked difference, however I’m still yet to get to a black sand volcanic beach- it’s on the list!